A Bavarian town famous for its werewolf and site of the death of the mysterious Kaspar Hauser has been hit by a school attack. An 18-year-old student armed with an ax, knives and Molotov cocktails wounded eight fellow students and a teacher at his high school in the Bavarian town of Ansbach on Thursday, September 17, 2009, the German police said. The police arrived at the scene minutes after the rampage began, opening fire on the attacker, who was not identified, and arresting him. Two children were seriously wounded, as was the 18-year-old attacker. Seven other children were slightly wounded. Ralf Koch, a spokesman for the Bavarian police, said between 600 and 700 students attend the school, which includes grades seven through 13. The attacker was in the 13th grade. Police said they received an emergency call at 8:35 a.m. (2:35 a.m. ET). When they got to the school, they immediately smelled smoke in the building, and they then encountered the attacker in a hallway. The teenager had lobbed two Molotov cocktails into classrooms, one of which caused a fire, said Udo Dreher of the local police. He had also attacked several students with the ax and knives. Police shot the teenager several times because he threatened the police officers, said Joachim Herrmann, the minister of the interior for the state of Bavaria, where Ansbach is located. The siege ended at 8:46 a.m. The attacker suffered life-threatening wounds and is now being treated at a hospital. Ansbach State Prosecutor Juergen Krach said the attacker remained hospitalized after he was shot by police during his arrest. Doctors plan to bring him out of a medically induced coma on Friday, September 18, 2009. Krach said a search of the student's home turned up the calendar on which he had marked September 17, 2009, with the words "apocalypse today," and a handwritten will. State Prosecutor Gudrun Lehnberger said the will was dated September 11, 2009. She added that the search turned up no threats against specific students or people. The attacker's motive remains unclear. "I can confirm that the perpetrator was undergoing psychotherapeutic treatment," Lehnberger said. The teenager's name has not been released because of German privacy laws. Krach said police have questioned the student's parents. The episode was the second attack at a German school in less than a year. In March 2009, 17-year-old Tim Kretschmer fatally shot 12 people (mostly females) at his former school in the southwestern town of Winnenden, a town near Stuttgart, Germany. He fled the building and killed three more people before turning the gun on himself. The Wolf of Ansbach was a man-eating wolf that attacked and killed an unknown number of people in the Principality of Ansbach in 1685, then a part of the Holy Roman Empire. Initially a nuisance preying on livestock, the wolf soon began attacking women and children. The citizens of Ansbach believed the animal to be a werewolf. After it was killed, a human mask was placed on the carcass. The wolf's body was then hanged from a gibbet for all to see until it underwent preservation for permanent display at a local museum. 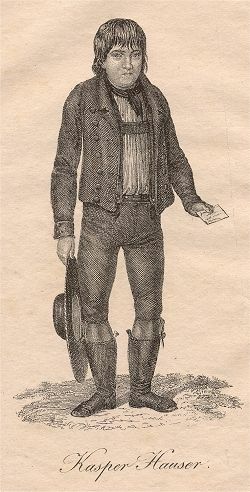 Kaspar Hauser (30 April 1812? – 17 December 1833) was a mysterious "lost child" found in 19th century Germany famous for his claim to have grown up in the total isolation of a darkened cell, raised like a half-wild human, in the tradition of feral or wolf children. Hauser's stories, and his likewise mysterious death by stabbing, sparked much debate and controversy. Hauser lived in Ansbach from 1830 to 1833. He was murdered in the palace gardens there. Hauser was buried in a country graveyard; his headstone reads, in Latin, "Here lies Kaspar Hauser, riddle of his time. His birth was unknown, his death mysterious." A monument to him was later erected in the Court Garden which reads Hic occultus occulto occisus est: "Here a mysterious one was killed in a mysterious manner." Forteans have been interested in the mystery of Kaspar Hauser for some time. 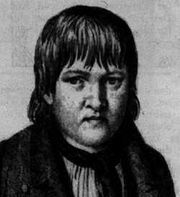 Fortean Society member and famed science fiction author Eric Frank Russell, in his 1943 novel Sinister Barrier, described Kaspar Hauser as a person who originated from a non-human laboratory. Robert A. Heinlein, in his 1963 Glory Road, referred to "Kaspar Hausers" as an analogue to persons popping in and out of metaphysical planes. In the 1966 film Fahrenheit 451, the protagonist Guy Montag discreetly puts a copy of a book entitled Gaspard Hauser into his bag before the rest of the books in that residence are torched. In the American TV series "Smallville," (2001) Clark Kent finds a boy who does not to remember who he was or where he came from, except his name. Chloe refers to the boy as a "modern day Kasper Hauser." In the Japanese horror movie Marebito (2004), the lead character Masuoka refers to a girl he found chained up underground as his "little Kaspar Hauser." In 1974, the German filmmaker Werner Herzog made Hauser's story into the film, Jeder für sich und Gott gegen alle (Every Man for Himself and God Against All). 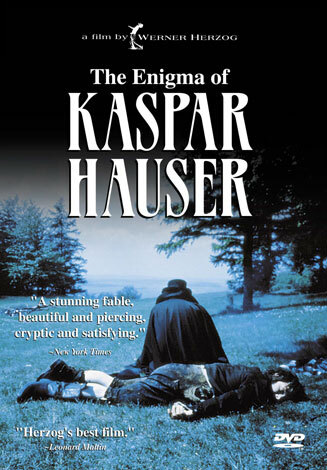 In English the film has become known by that translation, or by the title The Enigma of Kaspar Hauser. The bizarre nature of the movie is a metaphor for the human condition, the mystery of the Hauser melodrama, and, as it turns out, the strange things that still happen in Ansbach. Aeromexico Flight 576, which is 5+7+6 = 18, thus 1+8 = 9, was hijacked on 9/9/9. Breaking news is that the plane hijacking in Mexico is over after special forces stormed the jet. The aircraft was hijacked as it landed in the capital Mexico City from the resort of Cancun. Mexican online media reports said Aeromexico Flight 576 had 104 people on board when it left Bolivia, and made a stopover in Cancun en route to Mexico City. A 44-year-old Bolivian drug addict and alcoholic who describes himself as a church minister was the sole person responsible for the brief hijacking Wednesday of a commercial jetliner....The suspect — Jose Mar Flores — told authorities he hijacked the Boeing 737 jet because the date — September 9, 2009, or 9/9/9, and 666 reversed — held some significance for him, said Genaro Garcia Luna, the secretary for public safety. Intriguingly, earlier reports said up to five men were taken off the jet in handcuffs after it was stormed. The alleged hijackers reportedly had explosives strapped to their legs and were demanding to talk to Mexican President Felipe Calderon. They released all the passengers soon after the plane landed in Mexico City. The passengers left with their hand luggage. They appeared calm and boarded nearby buses. But the plane's crew were still being held hostage before special forces moved in and made the arrests. Nobody was hurt and no shots were fired, it is understood. Transportation and Communications Secretary Juan Molinar said all passengers and crew were safe. But he would not say how many alleged hijackers were detained or give details of their motivation. "Various people who participated in the act have been detained and we are investigating," he said. He said there was no bomb on the airplane, although some passengers said one of the hijackers held a package that resembled an explosive device. Aeromexico Flight 576 has been on the runway at the capital's international airport after the hijacking. One of the passengers, Adriana Romero, told Mexican TV she had not realized the flight had been hijacked until the plane landed at Mexico City. "We realized it was a hijack when we saw the police trucks," she said. El Universal daily said the men had not been able to get inside the plane's cockpit. The last hijacking in the region was in April in Jamaica, when an armed man took over a CanJet Boeing 737 due to fly from Montego Bay to Cuba. All 182 people on board were rescued unharmed when Jamaican police stormed the airliner and captured the mentally troubled gunman without firing a shot. Police said a man in Georges Township, Fayette County, Pennsylvania, fired a metal cannon that sent a two-pound lead ball into his neighbor's house, reported the Pittsburgh Post-Gazette. William Edward Maser, 54, fired the cannon in his yard on Tent Church Road Wednesday evening, September 2, 2009, said Trooper Brian Burden of the Pennsylvania State Police. He said he was not sure how regularly Maser fired his cannon. The cannon shot a lead ball through the side of his neighbor's house, breaking a window and traveling through a wall before landing in a clothes closet. No one was injured. The cannon is an 80-pound homemade replica of cannons used during the French and Indian War. It has been impounded as evidence. Maser regularly participates in battle re-enactments, Trooper Burden said. He has been charged with reckless endangerment, criminal mischief and disorderly conflict.